On Monday, April 2, another first for Grand Rapids occurs when Grand Rapids Community College (GRCC) hosts The Grand Rapids Poets’ Conference: A Celebration of Grand Rapids Poetry. The four-day event is set with panel discussions, seminars and learning sessions at 108 Sneden Hall during the day, and evening readings on the second floor of the GRCC library. All events are free to the public. “This is what is unique about this conference: it is historic in the best sense, because it begins a process that later generations can build on,” says program director, GRCC professor and Grand Rapids Poet Laureate David Cope. 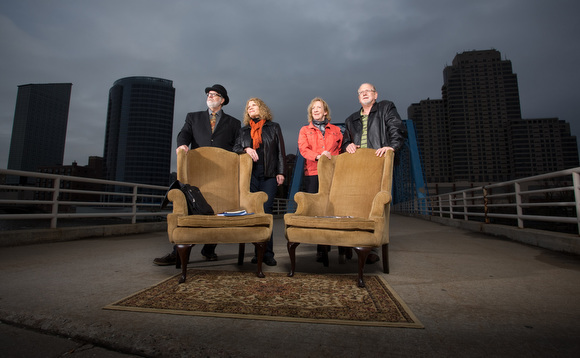 As laureate, Cope was determined to assemble an anthology of Grand Rapids poetry (Song of the Owashtanong: Grand Rapids Poetry in the 21st Century), and then to assemble a conference of local poets. “To bring us all together, old and young, people from across the scene, to hear all these voices and begin the dialog that not only expands our awareness of what we are, but gives us connections to help each other,” Cope explains. This isn’t the first time Cope has established a hefty poetry program; Cope has acted as program director for GRCC’s Pablo Neruda Conference and Women in the Arts Conference, in addition to helping design the 1990 Ecology and Poetics Conference and the Beats and Rebel Angels Conference at Naropa University. The Grand Rapids Poets’ Conference is based upon the National Poetry Festivals at GVSU in the ‘70s, Naropa University conferences, and Allen Ginsberg’s Brooklyn college reading series among others. The conference begins on Monday, April 2, with an opening speech addressing poetry in our time, followed by a panel on poetic community with Patricia Clark, Barbara Saunier, Kim Wyngarden and G. F. Korreck. 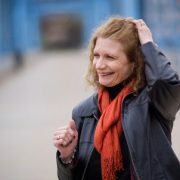 The conference concludes on Thursday, April 5, with an open mic reading in the morning, a performance by Linda Nemec Foster with musical accompaniment, a session on working with publishers and readings featuring L. S. Klatt and Miriam Pederson. Other panels and sessions throughout the week include spotlights on local publishing with Alban Fisher of TRNSFR literary magazine and Presa Press’ Eric Greinke, utilizing professional websites and an exploration of former laureate Rodney Torreson’s Thru the 3rd Eye. A reading series panel “as seen through two major college series, two local reading series and our local radio series” includes members of Smokin’ Spoken Word, Literary Life Bookstore and WYCE Electric Poetry. “Teaching Poetry: Pedagogy and Diversity” explores the methodology and issues in teaching poetry, student growth and how diversity affects tradition. “The daily panels will be useful as informational sessions and to see the ways in which the poets work together, but the highlights are always to be found in the evening readings,” explains Cope. Azizi Jasper, David Landrum and Mursalata Muhammad are among several of the poets featured during the evening readings. However, there are several open mic opportunities throughout the week for all poets to read their works publicly. Cope also mentions “younger poets can make connections with those who have ‘been there,’ and this can be useful for finding their way in their own careers.” Certainly true, as Cope made such a connection with Allen Ginsberg at a similar conference; Ginsberg would later help propel him into the national poetry community. The conference would not be possible without the support of the Michigan Council for Arts and Cultural Affairs, in-kind funding from GRCC and guidance provided by Dr. Caroline Older and Angela de Luca Placencia from the Arts Council of Greater Grand Rapids. A wide variety of individuals also helped define the conference’s aim, ranging from Cope’s laureate committee and many of the featured poets. For a comprehensive guide to the conference, including an extended schedule, poet bios, parking information and other useful links, click here. Originally Published by Rapid Growth, click here to view article.